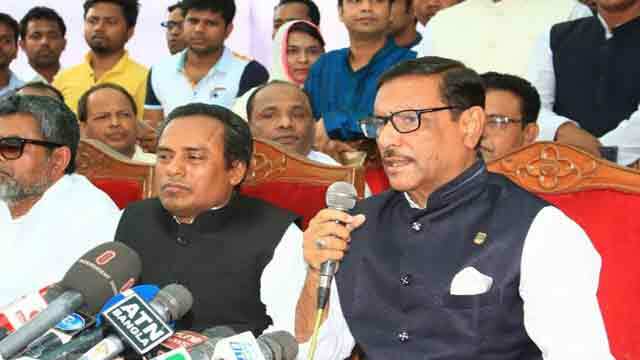 Dhaka, Mar 16 (Just News): Ruling Bangladesh Awami League (AL) general secretary Obaidul Quader said on Friday the victory in the next general elections for the ruling AL is “merely a formality”. “The people are happy with the development being carried out by prime minister Sheikh Hasina, so we’ve no fear and worry over the next general elections,” claimed Quader while speaking to newsmen at a programme in Dhanmondi of the capital. Also the road transport and bridges minister, Quader on behalf of the ruling AL was distributing rickshaw-vans among the poor, marking the anniversary of birth of country’s founding father Bangabandhu Sheikh Mujibur Rahman. He said AL is trying to woo the people while BNP is trying to foil the next general elections. The next general elections are slated to be held in December as per the existing constitution. The ruling party leader also claimed that thousands of BNP activists want to join the ruling AL, but the party is not accepting them. “Thousands of BNP activists from across the country want to join AL, but we’re yet to get green signal from our leader [Sheikh Hasina] with regard to their joining,” said AL leader.